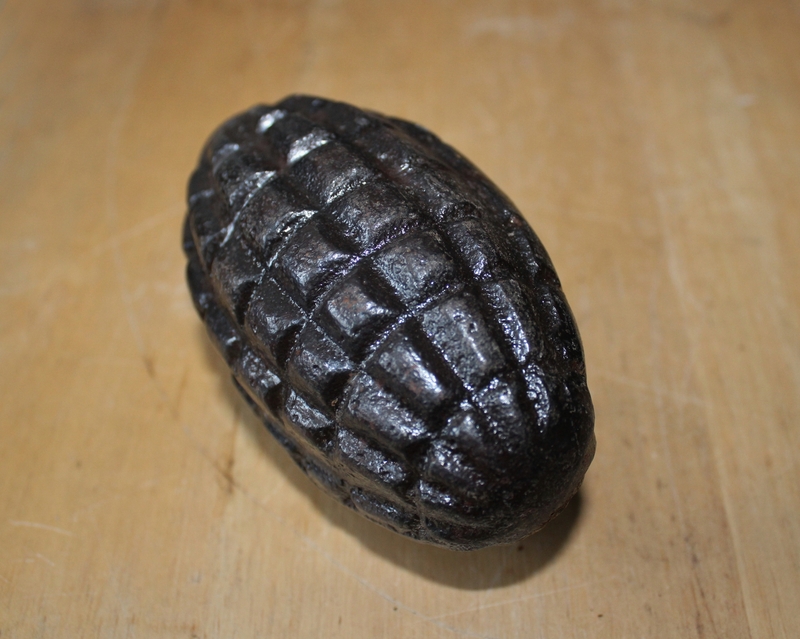 What is immediately obvious is that we are now looking at a hand grenade the design of which appears much closer to hand grenades as we generically think of them. Ask someone to draw one, and this is what they are likely to come up with. 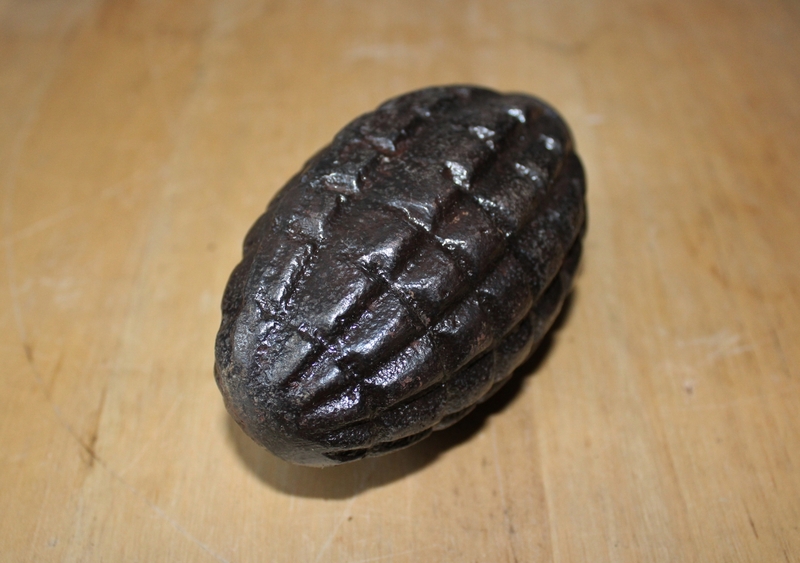 A closer look, however, reveals that the fragmentation pieces are still similar to previous Schwere hand grenades in their design, in that the sections are not uniform in size. They do, however, protrude far less than on the previous versions; by this stage of the war both cost and lack of resources were taking their toll, although it may be that technological advances played their part too. 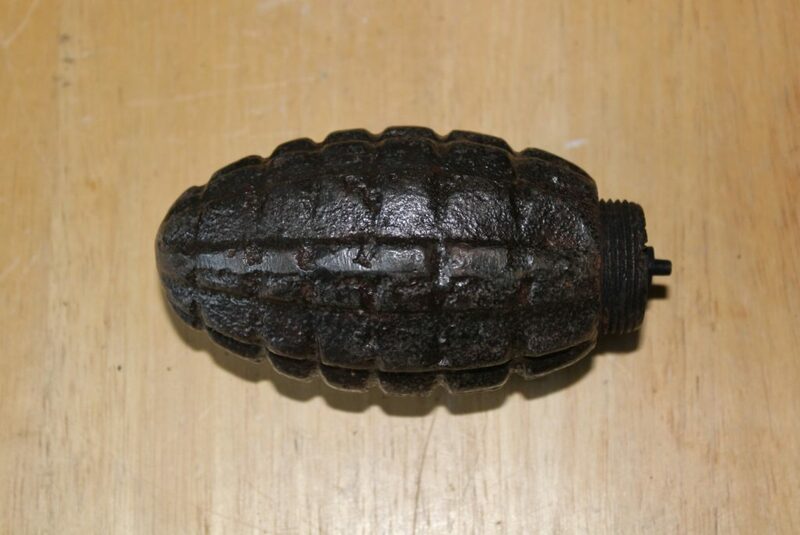 …by comparison with the similar-in-design British Mills bomb that I think we are all familiar with, this grenade is an inch longer at four and a half inches, and half a pound heavier. 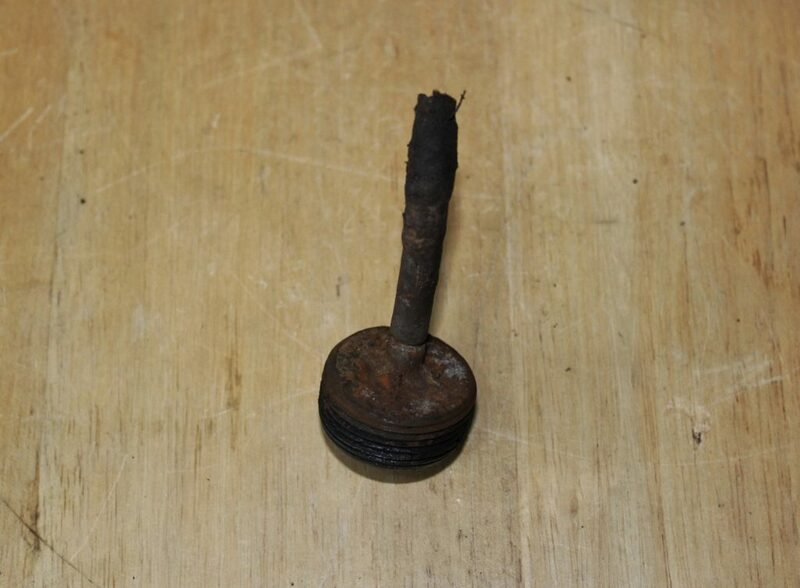 …the delay friction fuse, nearly complete, is still there. 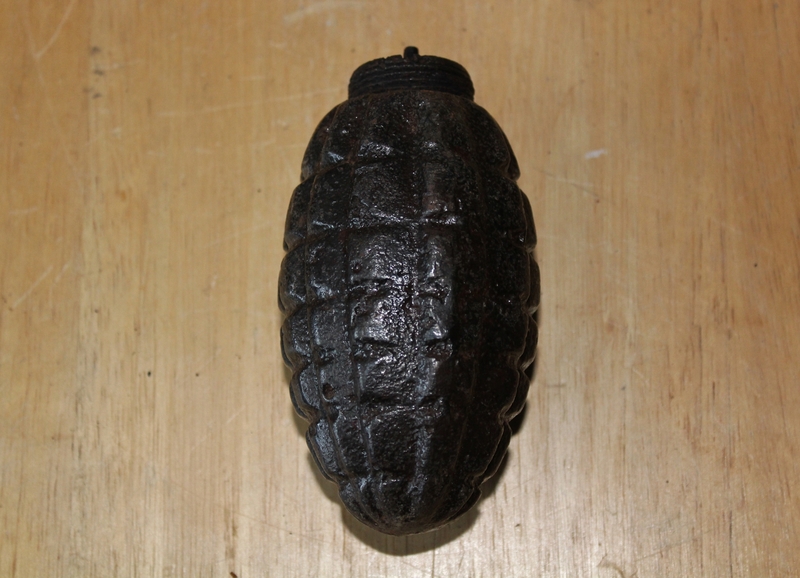 The inside of the grenade would have been filled with black powder, or gunpowder, if you prefer. 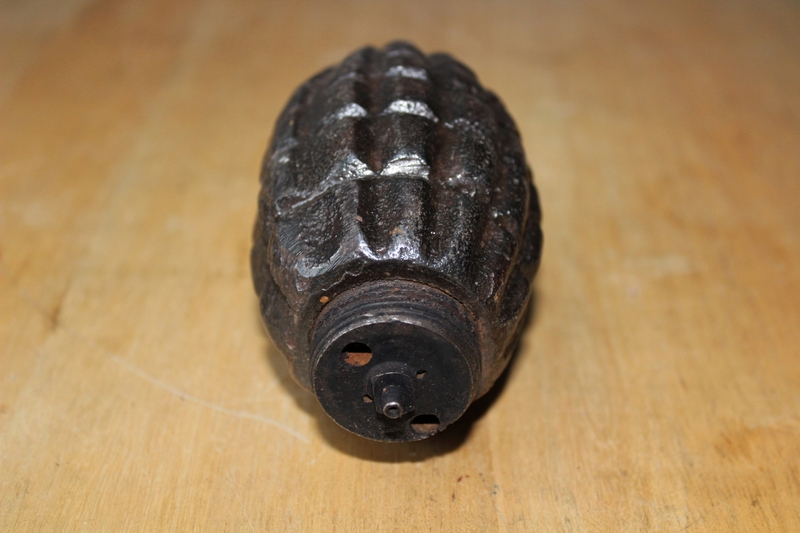 There will come a time when I have no more German or Austro-Hungarian grenades to show you (mixed reactions, perhaps, to that? ), although by then a good basic resource, I think, will have been created for anyone exploring the subject. But we ain’t there yet. Next we take another look at a small Schwere, this time with attachment. One would think, MJS, that at one and 3/4 pounds these monsters could not be hand thrown far. Especially when in a confined location. 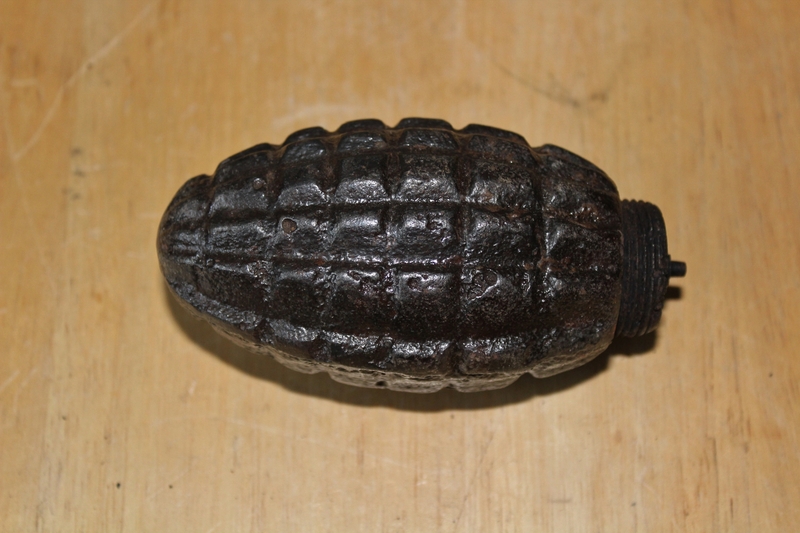 Has your research ever established the average distance these were thrown versus our Mills bomb hand grenade? Or indeed all styles of hand grenades. It’s a very good point – and no, I really know nothing about ranges. But being a defensive grenade it wouldn’t have needed to be thrown far, I guess. You could certainly throw a Mills bomb a lot further. 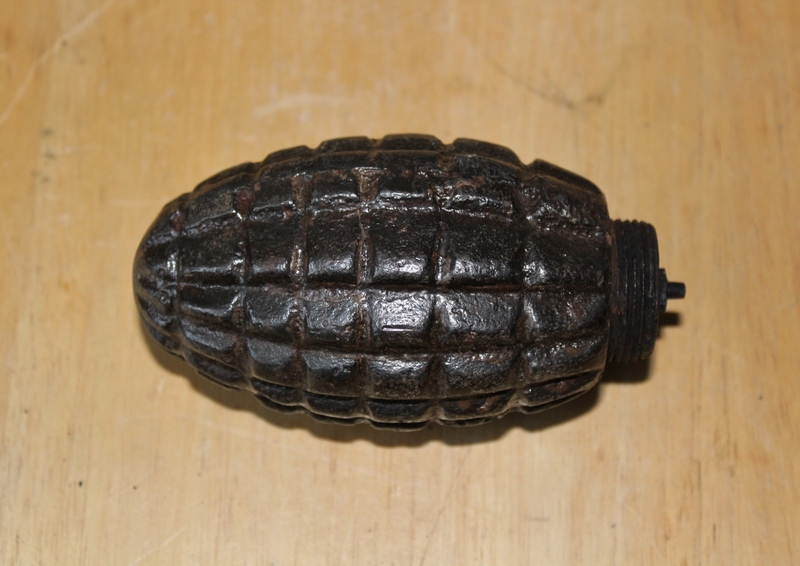 In one of the other posts about Schwere grenades I have already published, by the way, I got the weight wrong – the biggest Schwere grenade weighs nearly three pounds!!! OK mate – into your research resources for throwing distances …. 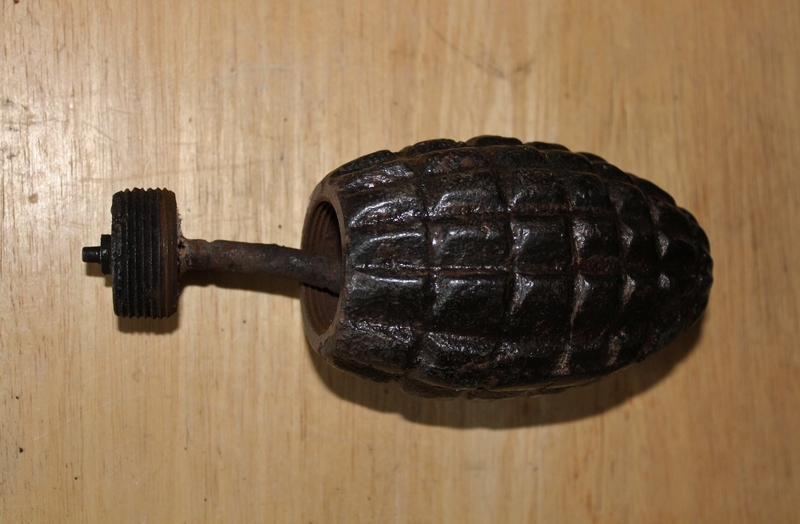 I always understood hand thrown grenades were both defensive and offensive – certainly in WW2 and the “Pacific’ theatre. They were used as part of an advancing offense …. or do I need correcting? No, not true in the Great War from what I can gather. Many grenades then were, technically, either one or the other. Grenades in those days were mainly defensive, hence the size of some of these monsters. 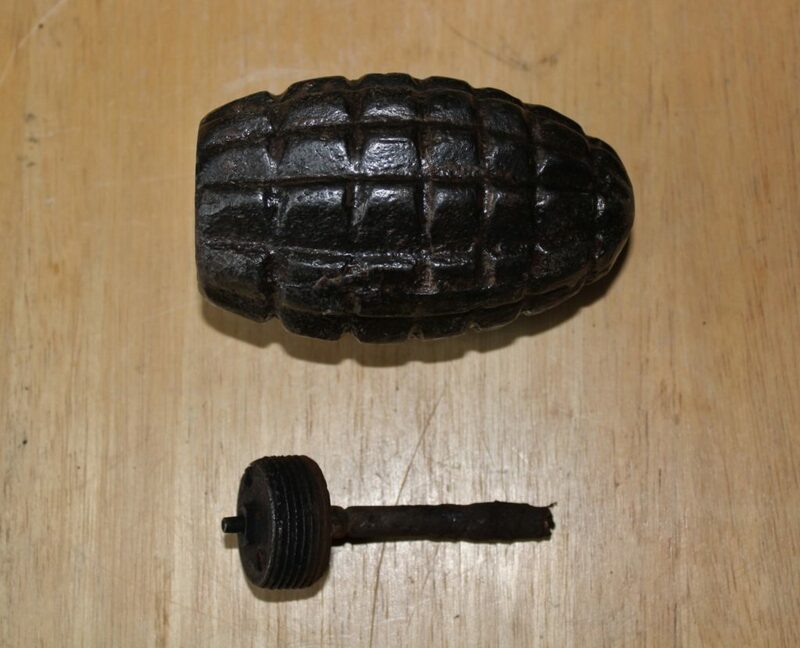 Later, of course, smaller offensive grenades were introduced. 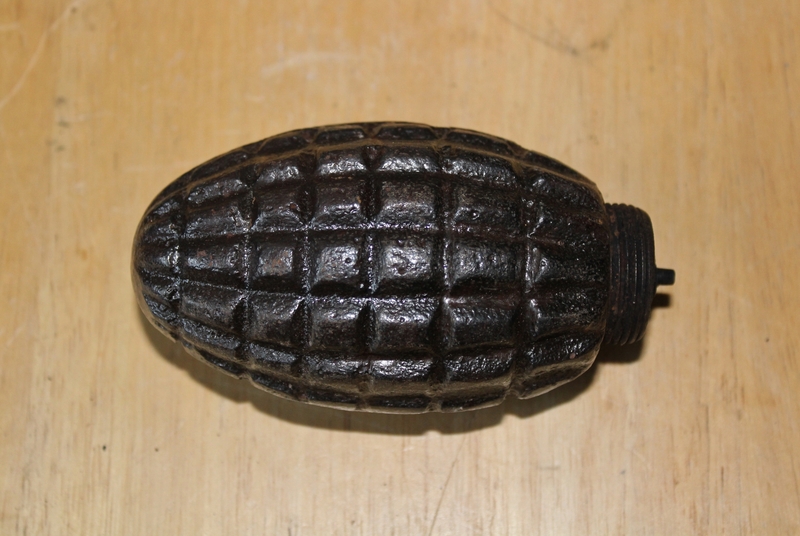 The German Stielhandgranate you mention was certainly an accurate grenade in skilled hands. 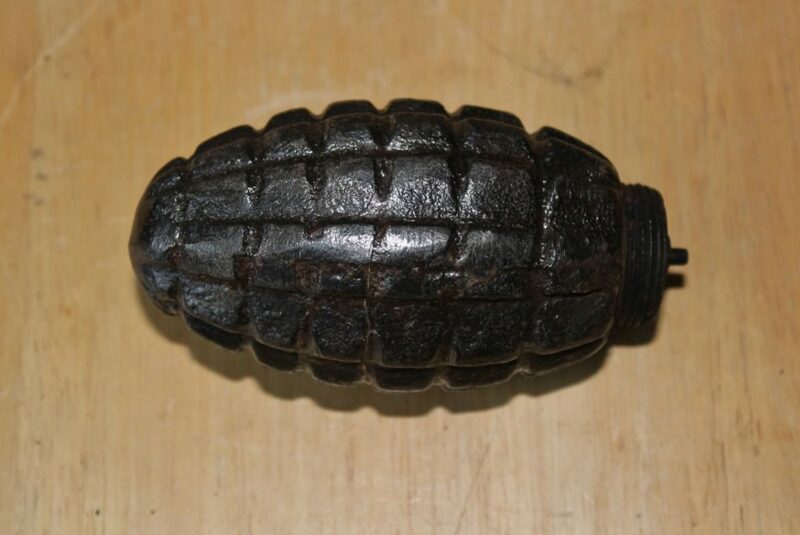 Basically fragmentation grenades were defensive and designed to be thrown from cover so you didn’t take yourself out, and blast or percussion grenades (like the Stielhandgranate) for offensive anti-personnel use – the blast wouldn’t travel far so the thrower would be safe. That’s the theory. Thank you kind Sir – well explained – I should also say that your knowledge is only exceeded by your good looks ….. Your subject is of course WW1 and I should not confuse with particularly WW2 offensive concussion grenades and offensive tactics. Let’s blame the war movies. Well said!!! Lol! And yeah, I don’t have a clue about WW2 grenades.